Marissa Bornn, PGIA 10th grade student, has been accepted to a summer program at Johns Hopkins University! The Discover Hopkins Medical School Intensive program allows students to focus on techniques related to surgery, internal medicine, pediatrics, emergency medicine, and biomedical science. Students participate in lectures, labs and hands on medical training at John Hopkins Medical Simulation Center, and Johns Hopkins Hospital. Congratulations Marissa! Stay tuned for more updates on where our students are heading this summer! Please contact Ms. Ebe with any questions or to share details on your upcoming summer experience. Well don't we just need some good news today? As you all knew from earlier in the year, Mr. Axel Bartsch, was the winner from our school as the 2019 Youth Role Model for the University Bound Program at UVI. We are so proud of him! 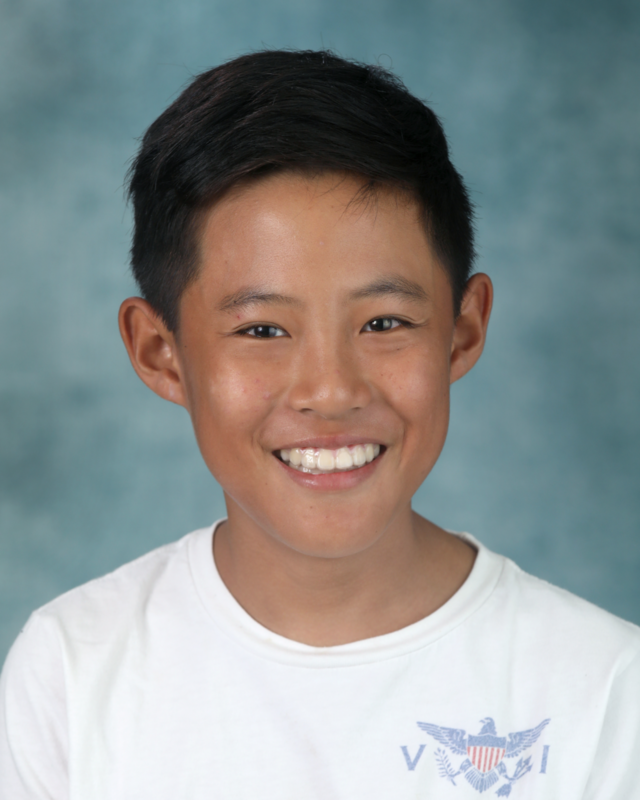 The University Bound Program selected their own winner for the 2019 Youth Role Model Award and that young man is also a PGIA student. Mr. Ricky James will also receive this award this spring! VIMSIA creates great young people, and these students are fully deserving of this accolade. Sharp, strong, reflective young men who have led by example in staying committed to academics and strong character. Today is a proud day for VIMSIA. Congrats Axel and Ricky! PGIA 11th grade student, Diego Zakers, has been accepted to the Frontiers Program at Worcester Polytechnic Institute this summer! Diego will explore Interactive Media and Game Development as well as Entrepreneurship. Congratulations Diego! Stay tuned for more updates on where our students are heading this summer! Please contact Ms. Ebe with any questions or to share details on your upcoming summer experience. PGIA 11th grade student, Caroline Gaskin, has been accepted to Harvard University's Secondary School Program this summer! Students get the opportunity to experience course work and life as a college student while developing independence and learning about the world around them. Caroline's course options include Creative Writing, Biochemistry, Japanese and many more. Congratulations Caroline! Stay tuned for more updates on where our students are heading this summer! Please contact Ms. Ebe with any questions or to share details on your upcoming summer experience. 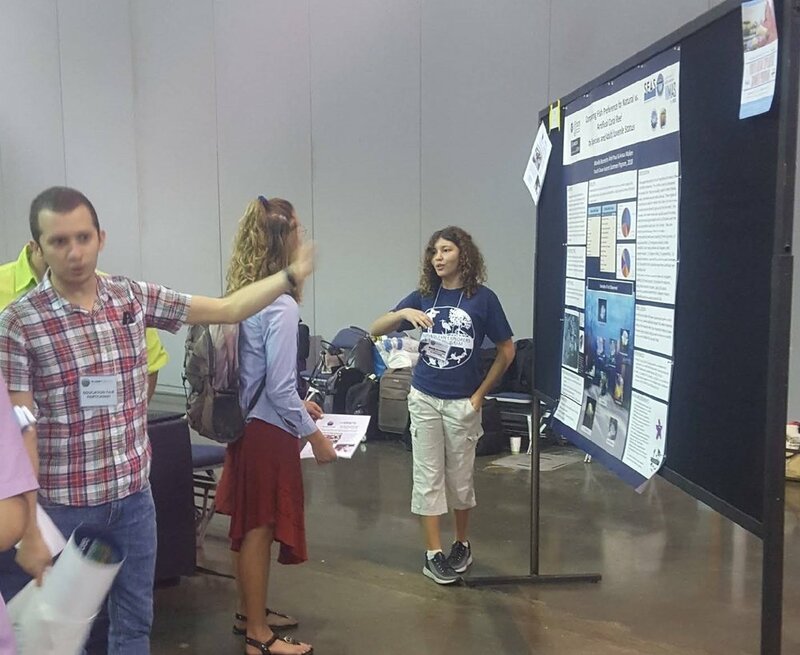 This week PGIA 9th grader Mimi Boumedine, along with six other St. Thomas high school students, presented at the international ASLO (Association for the Sciences of Liminology and Oceanography) 2019 aquatic sciences meeting in San Juan, Puerto Rico. Mimi shared her student team's research on fish preferences for natural vs. artificial coral reefs. She and her team built artificial reefs, then observed which fish preferred their reefs vs. the natural ones, categorizing by species and age. Their research was conducted this past summer with the Youth Ocean Explorers program at UVI. The presentation was given at a special high school poster session initiated and organized by none other than Dr. Michele Guannel, Assistant Professor of Biology with the Virgin Islands Institute for STEM Education Research and Practice at UVI. Congratulations to this years top raffle ticket sellers, Michael Holt 64 books and Sarah Sables 42 books. Ms. Holt will receive $1,500 off of tuition next year and Ms. Sables will receive our second place prize, $650 off tuition! Congratulations to our top sellers and to all of our families. Your diligent efforts produced our best sales ever with 55,450.00 - 1109 books sold Our top raffle winners, 1st Place ticket #01734 and 2nd Place ticket # 08305 are both members of our VIMSIA family. Thank you very much for this record breaking support.